Outdoor Retailer was a whirlwind! We came, we saw and we conquered. During our first experience at the largest outdoor sports expo and conference in the United States, where the outdoor and snow industries come together to share their ideas and what’s to come for 2019, we found inspiration through the lens of a RVer. 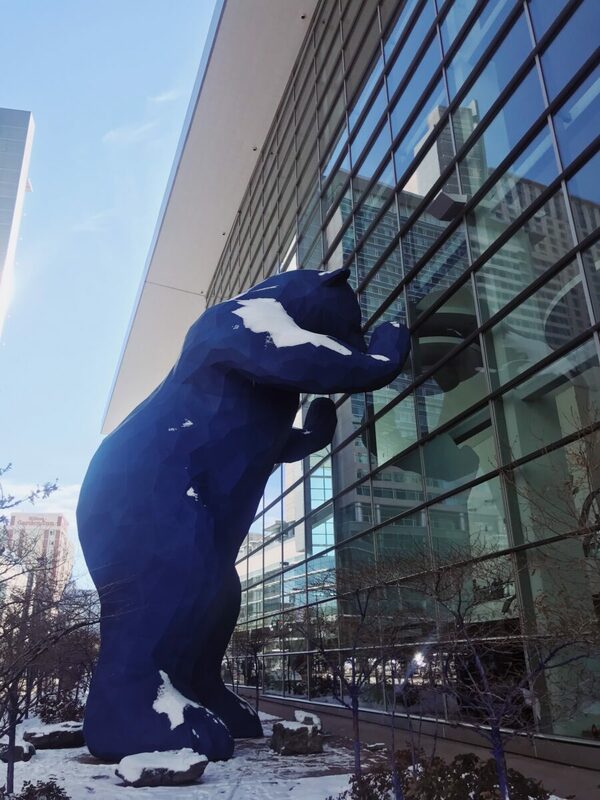 Buckle up because we’re about to share everything we learned in Denver, Colorado last week! Check out the details below. 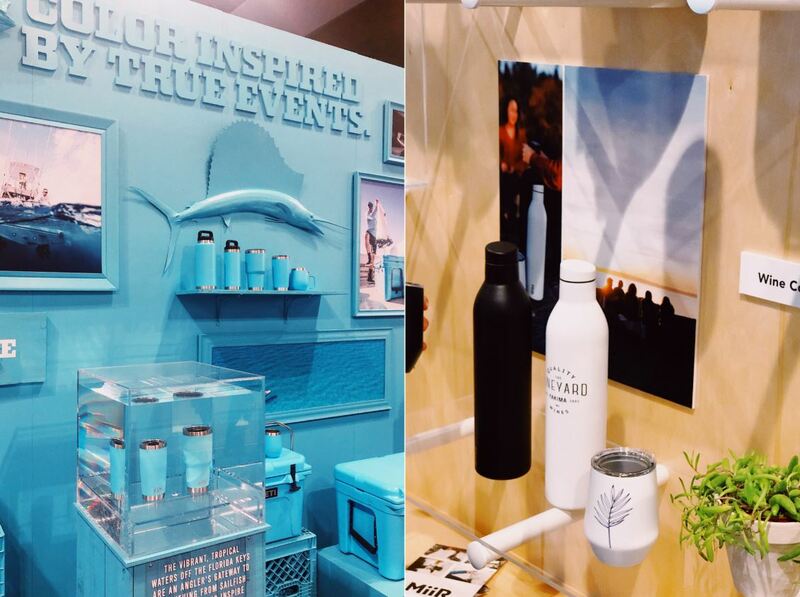 Retailers, buyers and environmental organizations run the show during Outdoor Retailer’s three-day event. 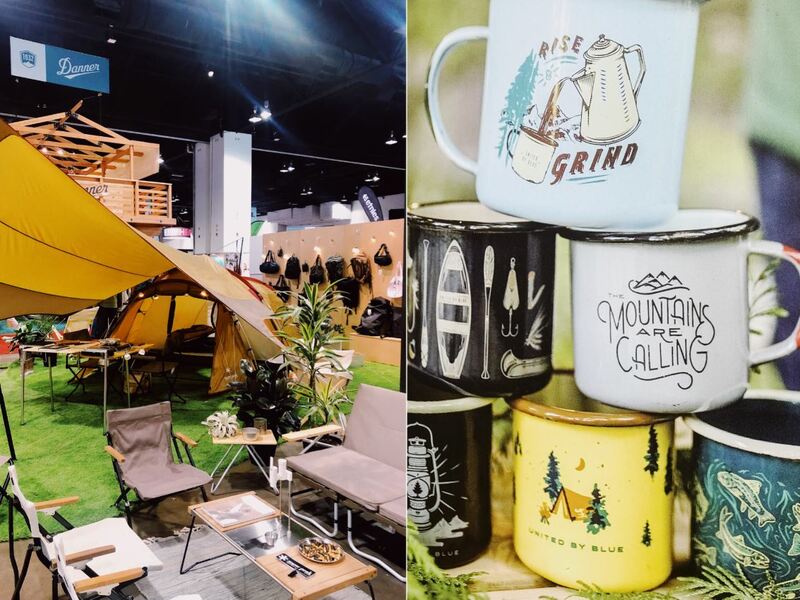 One thing is for certain, brands are working tirelessly to bring the RV and outdoor community as a whole, more sustainable gear. With outdoor research becoming more and more mainstream, a unique opportunity is emerging for brands and manufacturers to take better care of our wild spaces and to preserve them for the future. 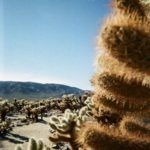 So what does that mean for you, the RVer? It means there are more sustainable options when it comes to where you put your dollars. This year keep a close eye on Patagonia. The brand is the first company in the outdoor industry making their shell jackets out of 100 percent recycled material and we have a hunch they’ll be releasing additional sustainable options for 2019. We’ll feature a full guide round up of the most innovative products coming in 2019 later this week, but until then we want you to get excited about “The Café,” double walled water bottles, wood burning compactable camp stove, solar energy options for your RV, heated clothing, carabiner light kits, H2O chargers (a personal favorite) and compostable coolers that will elevate your RV lifestyle. RVers should know, you matter. Brands are evolving and listening to consumers in the outdoor industry because we now have a platform to share our voices. The internet has allowed us to be heard, express our needs and goals for how we travel. That means we need to do our part to see the products we need most! Leave reviews and detailed comments about the type of gear you’d like to see for your RV. Have a pain point? Write a thoughtful email to your favorite brand and express your desire for more sustainable options! Have ideas? Share them on Facebook, Twitter and Instagram. These platforms exists for the user so make your ideas and vision for RVing in 2019 heard! 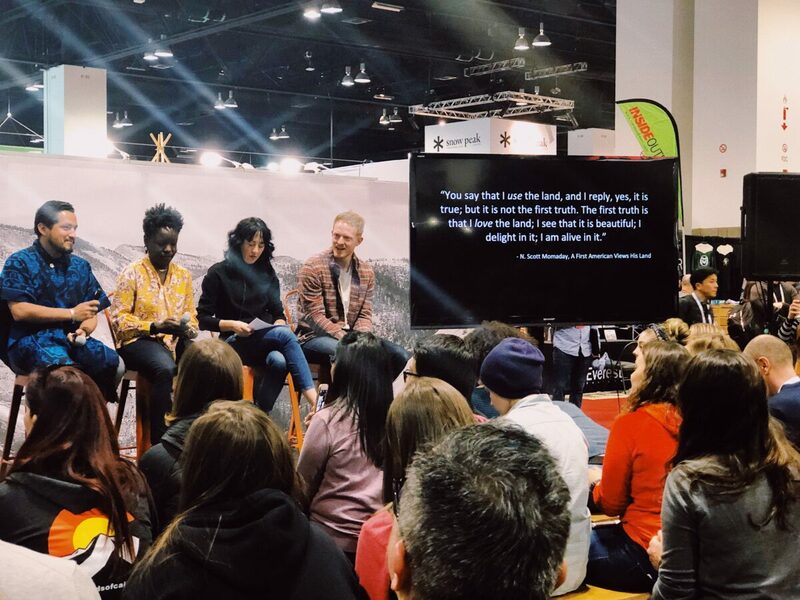 With titles like “The Evolving Retail Environment,” “Reduce, Reuse and Repair” and “Five Minutes, One Bold Idea,” the outdoor industry is leading in conversations from diversity to what it means to belong in the outdoors. The Ranger Station, the brainchild of This Is Range, featured a stunning line up of renowned outdoor men and women who shared their experiences in the outdoors, conversated about what it means to be a consumer in the outdoor industry and the responsibility we have to the environment. Our takeaway from these engaging workshops is this – the outdoors are for everyone. Outdoor inclusiveness was number one on the conversation docket this year. No one should convince you that nature isn’t for you, especially when it comes to your race, gender, ethnicity, age or physicality and that’s great news for the RV community because it means we can focus on what really matters, enjoying our wild spaces. Are You A RV Influencer? Outdoor retailer is the mecca of the outdoor industry. Whether you’re there as a business owner or a traveler with a dream to tell your story, this event is the perfect place to meet new people who subscribe to adventure culture. It’s no surprise that the folks who attend Outdoor Retailer live and breathe all things travel. If you’re a RV influencer, this is the event you need to look into. Come mix and mingle with people from all walks of life who are making waves in the influencer realm. It’s a great place to network, talk with brand reps and further your career. The relationships you foster here will extend beyond the Denver conference center and out into the world of camping, RVing and cross country travel! As with any community, there are emerging leaders that caught our eye at Outdoor Retailer. Below we’ve outlined a few of our favorite speakers, organizations and influencers from the event below. Take a look and follow those who share your similar passions! @thisisrange – Magazine inspired by the culture of the modern outdoor movement. @she_explores – Stories inspired by women in the outdoors, road and life. @pattiegonia – Bringing inclusivity, positivity and a voice for the LGBTQ community to the outdoors. @alexhonnold – Pro athlete who is climbing the impossible. @protectourwinters – Global nonprofit fighting climate change on behalf of the outdoor sports community. @outdoorafro – Nonprofit organization that celebrates and inspires Black leadership in nature. @meg_haywoodsullivan – Professional photographer and environmentalists championing for the preservation of our wild spaces. Are you looking for a romantic getaway this Valentine’s Day? Check out our Top 10 Steamiest and Most Romantic Hot Springs to Trek to This Valentine’s Day and leave us a comment in the section below sharing where you’re headed! I spent 35 years in the Outdoor Industry, now I am working for La Mesa in Port St Lucie! I would love to chat if you’re interested. Welcome to the family! We’ll reach out to you! 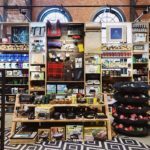 Hey Buddy!, I found this information for you: "We Attended Outdoor Retailer and Here’s What Every RVer Should Know". Here is the website link: https://experiencelife.lamesarv.com/2019/02/we-attended-outdoor-retailer-and-heres-what-every-rver-should-know/. Thank you.